If you’ve spent any time outdoors in public, you’ve most likely seen the many electric scooters that have overrun the streets and sidewalks in nearly every city in the US. Although they were initially introduced as a way to encourage the use of an eco-friendly method of transportation as an alternative to cars, these electric scooters have become a nuisance to some and a motorized toy for others. Because these rental scooters are relatively new and are rapidly spreading around the country, many cities have yet to develop and effectively enforce rules to regulate their use and ensure the safety of scooter riders, motorists, and pedestrians. This means that accidents involving electric scooters have the potential to happen frequently, and the injuries sustained in these scooter accidents can be serious. If you or someone you know has been injured while riding an electric scooter, either due to scooter malfunction or another’s negligence, you may be entitled to seek compensation for your injuries. Call our electric scooter accident attorneys at Zinda Law Group for a 100% free consultation, and pay nothing unless we win your case – that’s our No Fee Guarantee. After the initial introduction of electric scooters in cities across the US and their huge surge in popularity almost instantly, many other transportation companies and startups decided to create their own brand of electric scooter and spread the reach even further. Due to the quick influx of these electric scooters in cities across America, the publicity and notoriety surrounding them, and their relatively low cost, the number of electric scooter accidents and injured riders has increased significantly. Similarly, the number of injury claims seen by electric scooter accident attorneys has also increased. Because electric scooters are a relatively new method of transportation, new laws have not yet been written to regulate their use. Individual states have started to pass their own laws regarding their legal use to prevent further electric scooter accidents and injuries. In general, electric scooters must follow the same laws as electric bicycles, which have been around much longer. No extra regulations have been put in place on a nationwide level to specifically regulate the use of electric scooters, although that may soon become a consideration due to the dramatic increase in electric scooter-related injuries. Like electric bicycles, and if there are no state-specific laws in place that state otherwise, electric scooters can be used on public pathways, trails, and streets that have designated bike lanes. While riding an electric scooter, you do not need to carry a license, registration or insurance. Most importantly, electric scooters are not allowed on sidewalks. There are countless ways that an individual can be injured while riding an electric scooter or while near someone who is riding an electric scooter. Below are some of the most common types of electric scooter accidents. If you have experienced any of these incidents and sustained an injury, an electric scooter accident lawyer at Zinda Law Group may be able to help you file a personal injury claim, and help you seek the compensation you deserve. Because there are many different types of electric scooter accidents that can occur, the different injuries sustained during an accident can vary dramatically. Minor injuries sustained from electric scooter accidents include cuts, bruises, scrapes, strains, and sprains. More serious electric scooter injuries include broken bones, lacerations, fractures, herniated discs, and traumatic head injuries. Although electric scooters are not allowed on sidewalks, some riders, whether aware or unaware of this restriction, still find themselves riding in close proximity to pedestrians or other riders. If you are hit by an electric scooter rider, and sustain injuries from the accident, that individual or their insurance company may be held liable. Since electric scooters are allowed on streets with designated bike lanes, some accidents may occur on the road. Often times, these accidents can be the most severe since other vehicles, like cars and motorcycles, can reach speeds much higher than the scooter. If the driver of the other vehicle is found to be negligent, then the driver’s auto insurance provider may be held liable for the claim. If your accident is determined to be caused due to electric scooter malfunction, the scooter company may be held liable for your claim. Although the legal process may seem daunting, an experienced electric scooter accident lawyer can guide you through the steps to file a successful personal injury claim should you find yourself the victim. An electric scooter accident lawsuit with Zinda Law Group can be broken down into a simple 3-step process. 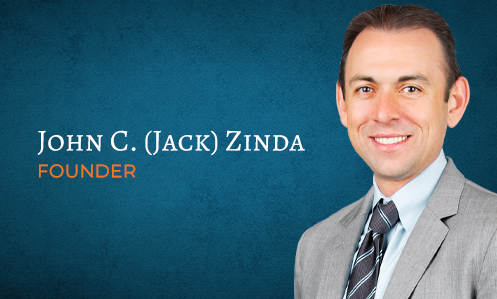 Zinda Law Group believes that everyone deserves the best legal representation during their claim no matter what their financial situation may be. After you have sought medical attention for your injuries, you should speak with an attorney as soon as possible. We offer a 100% Free Consultation to help you get more insight on your claim and determine the status of your case. Our No Win No Fee Guarantee also ensure that you will pay nothing unless we win your case. If our attorneys determine that you have a case, the next step in the process involves gathering the documents needed to file your claim. These documents may include any police reports and medical records. You need not worry during this time, our scooter accident lawyers have the experience and resources necessary to conduct this step of the process efficiently. Once your attorney has sorted your claim, they will reach out to the at-fault party to pursue your settlement while you focus on recovering. Non-economic damages would be considered any pain, suffering, or psychological damage you sustained because of the electric scooter accident. If you have been hurt due to the negligence of another party and have decided to file an injury claim, our personal injury lawyers are on hand to help you navigate the legal process. We will focus on building the strongest case possible and seeking maximum compensation for your injuries while you focus on recovering. Furthermore, our No Fee Guarantee means that you will pay nothing unless we win your case! Call Zinda Law Group today at (888) 671-5127 for a free consultation with one of our experienced scooter accident attorneys.